THE ALLY TO THE CITY GIRLS!!! Its innovative anti-pollution active, protects the skin and creates a shield that reinforces the protective barrier of the skin. At the same time, micelles act as magnets trapping superficial dead cells, contaminating particles, makeup and excess sebum. The result, skin free of impurities and soft. In our day to day we accumulate thousands of impurities in the skin that come from atmospheric pollution. Beat them! NEW Casmara Micellar Water creates a protective barrier against polluting agents and cleanses your skin while protecting it. All skin types. Its non-alcoholic, mild and non-irritating formula is ideal for daily use on all skin types, even the most sensitive. Unisex formula. Creates a protective shield against the 3 main types of pollution (ultraviolet light, atmospheric pollution and chemical agents). Cleanses and removes make-up from eyes, face and neck without rinsing. Strengthens the protective barrier of the skin. Helps moisturize and balance the pH of the skin. Fresh and soft skin, free of impurities. POLLU-BLOCK: natural active ingredient that creates a protective shield on your skin against three types of pollutants: ultraviolet light, atmospheric pollution and chemical agents. MICELLES: they trap impurities that accumulate on the skin day by day, providing a thorough cleanse. It comes in a 400 ML / 13.5 FL.OZ sized bottle & it retails at €18.00. To become a Casmara Stockist, and for Trade Prices, please do not hesitate to contact us, and a member of our Trends Team will be more than happy to help you. Tiger Lash Book is an unique lash book of 3D silk lashes this booklet is Ireland's very first lash book. Its ideal for the lash lovers, makeup artist or professional. The lashes are cruelty free light and fluffy and can be used up to 20 times. The styles are handpicked by our artists to suit daytime makeup to full glam. 16 different styles the bands are light also which makes for the perfect application. No need to ever run out of lashes again these affordable lashes are cost effective without loosing quality. Tiger Lash Book is brand new to Trends Beauty & Lifestyle & Distribution. Salons & Make Up Artists this lash book is what you have been waiting for!!!! PRE ORDER YOUR LASH BOOK TODAY! 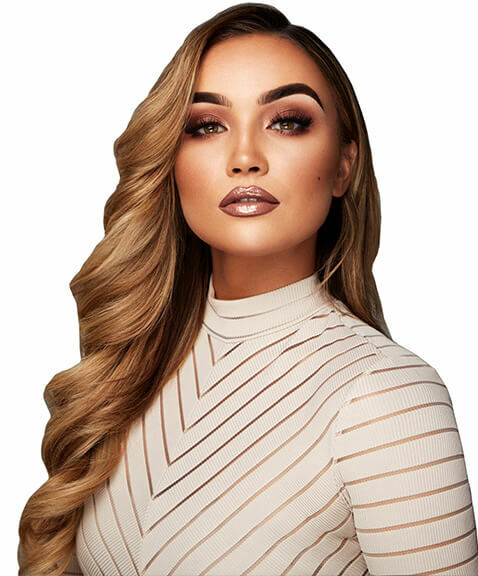 BPerfect Cosmetics latest collaboration inspired by top MUA Ellie Kelly launched their much anticipated Born Ready Lip Kits last week. The glitzy glamour exclusive event was held at Twenty Two on Dublin’s South Anne St, and was hosted by Ireland’s Got Talent star Ru Paul Ryder. Ellie is an an amazing talented Make Up Artist & one of Ireland’s fastest growing instagrammers. The Born Ready Lip Kits, which are infused with a light vanilla scent, consist of a trio of colours, which will be the added glamour one needs in the run-up to Christmas. Create Your Perfect Lip Combination For Any Occasion! Keep it simple with a slick of ‘Boo’, dare to go darker with ‘Secret’, or go all out with a sultry hit of ‘Cheeky’ – the latest offering from BPerfect Cosmetics allows you to change up your lips no matter the occasion. The Born Ready Lip Kits RRP at €29.95 are are available to buy in our online store, & they are also flying out the doors of pharmacies nationwide. Salons & Pharmacies interested in becoming a stockist, contact us at Trends Beauty & Lifestyle Distribution. We'd like to introduce you to an up coming Irish Brand ÚR Make Up. This book is the ultimate make up career guide for the make up industry in Ireland and Northern Ireland, and is already hailed 'The Make up Bible'. And these guys have also introduced their very first pro makeup brush range. We're very excited to sell and distribute such a fantastic Irish Brand here at Trends. Powder 'n' Pout is a range of superior quality, but affordable makeup brushes which "let you define your look, whatever it is, whatever the occasion." The quality of all of the brushes is second to none, and we would recommend this extensive range to any makeup lovers and brush addicts. our anti-ageing regime is made of non-irritating products that are great for sensitive skin. MuMe solid make-up brush cleanser gently removes excess residue and makeup for a clean application. 75g each The kaolin clay gently cleanses your make-up brushes while the goats milk keeps the bristles soft and suitable for sensitive skin. It's gentle enough to use daily without harming your brushes. Get the ultimate finish with this sculpt, blush, highlight palette. 15 amazing colours to choose from this all in one master palette is a make up bag must have. TanOrganic Moisturising Facial Serum is a unique blend of 8 different natural plant oils including argan oil, borage seed oil and rosehip oil. take away from the product’s exfoliating performance. Human + Kind are happy to be able to support Sightsavers with a Special Edition Box where €5 from each will be donated to their cause to fight preventable blindness. It's also a great value at only €25 for €57.85 worth of products! On Monday the 22nd May Trends Beauty & Lifestyle Distribution joined Liz McKeon, Beauty Business Expert at the Crown Plaza, Dublin Airport for her event, Grow Your Own Business.